"Without skills of use, it will be useless." 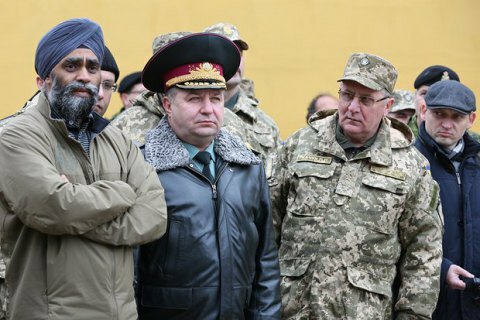 Canadian Defence Minister Harjit Sajan says that modern weapons are useless without a skilled application. "Our plans are not just about equipment for it's easy to supply, but it will be useless without the skills to use it. At the same time we try to find out what are the needs of the Armed Forces of Ukraine and decide what needs to be done," Sajan told Ukrinform on Thursday. The minister said Canadian military instructors already deployed in Ukraine within the framework of the UNIFIER training operation can help Ukrainian soldiers in mastering modern equipment. "We have units in Ukraine that are helping with the training of military. Therefore, when we pinpoint the needs of Ukrainian military, we can provide proper training to make sure that they will be trained to use the equipment by the time of its arrival," Sajan said. Ukraine repeatedly requested Canada to supply of Canadian weapons. Although significant progress has been made, final agreements have not yet been reached.